Home Smartphone Review Samsung Galaxy S8: Bixby and the voice assistant as the ultimate end? 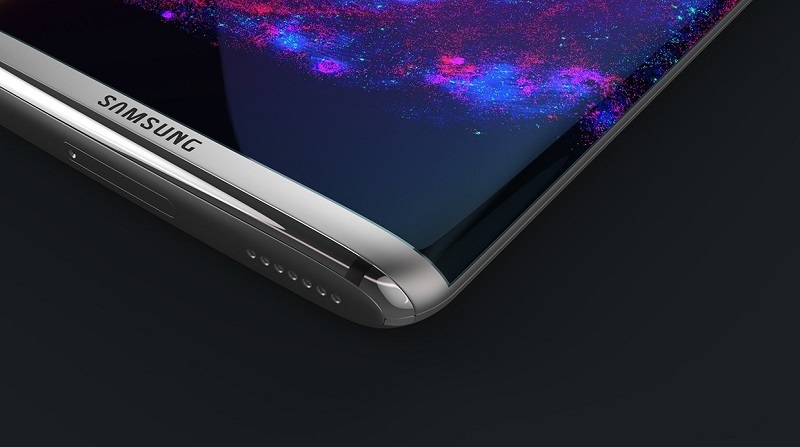 Samsung Galaxy S8: Bixby and the voice assistant as the ultimate end? How long have you been talking to your cell phone? Not with the person, you call, no. With your cell phone. Voice assistants are for that, for you to communicate with a device that increasingly wants to serve as the secretary or virtual secretary to be able to rely at all times, but the ability of these platforms is yet to be demonstrated. There are several proposals offered by the mobility market. Microsoft, Google, Apple and Amazon have been tempting us to talk more about Cortana, Google Now, Siri or Alexa. Now Samsung will also do so with Bixby, a wizard that comes after the purchase of Viv and that will, they say, absolute protagonist of experience in the Galaxy S8. Should all Samsung focus on this wizard? How will Google Now and Bixby be taken? The movement of Samsung to the segment of artificial intelligence and assistants voice is somewhat logical point: Google is making its own war with Google Pixel / XL, two devices that directly compete in the high-end segment with the Galaxy S7 / Edge. That has not happened so far, and that may have upset traditional Google partners. And among them, of course, to Samsung, which has long been still in the chamber to Tizen, a platform that is shyly showing its virtues in smart watches and some other low – end smartphone. The decision to launch its own voice assistant also seems part of that plan B with which Samsung wants to have an escape route if Google begins to become a harmful ally. The news of the integration of the voice assistant called Bixby in each and every one of the native applications Galaxy S8 joins a specification rather “beasts” makes us wonder how coexist Bixby and Google Now, the assistant native voice on Android. Or is it that Samsung simply will not integrate Google Now? It seems somewhat difficult given that being able to use Android in a device forces to integrate the suite of applications and services of Google to the manufacturers. In fact it will be interesting to see how Google, which actually reacts threw the first stone when he wanted to differentiate your Google Assistant in the Pixel without offering (for now) that characteristic to any other manufacturer. Movies with futuristic dyes always give a noticeable that interface in which you type or touch no relevance: just talk. Films like ‘Her’ have been taken by many manufacturers as a paradigm of what someday we get to do with a voice assistant, but the problem is that currently this futuristic vision is us pretty far. First because we are embarrassed to talk to our mobile. It is true that every time we see more normal to send voice messages via recorded WhatsApp instead of typing everywhere, and although that may be a bridge to that massive use of voice as a means of interaction between man and the mobile, there is a cultural barrier that makes us feel strange to imitate Michael Knight. Secondly, because the assistants, with all their good intentions, did not just do the task as easy as we wanted. The problem is not entirely the attendees, eye. These applications are adjusted increasingly to basic requirements, and also to understand a lot of questions are now also able to understand the context and be able to answer linked questions ( “Who was the first president of the United States?” Then Ask “When was he born?” Not to mention his name, for example). However, we cannot talk to the attendees naturally. We who have to learn the language of the wizard, and that makes us hesitate when giving voice commands or many mistakes that, of course, be learned with practice. And that’s where the first problem arrives again: how embarrassing we are, we do not practice and the assistant is left without (our) company. The appearance of Bixby in the Galaxy S8 seems only the first of many steps that Samsung is leading to an increasingly promising market: the artificial intelligence. All the big ones know how much they can earn if they are well positioned in a segment that seems to dominate our lives for years to come, so investing in an alternative seems like a wise choice now that the market is immature. And it certainly is not only in the mobile, but in the rest of solutions in which speech recognition is present, which are already a few. Samsung leads in their smart TVs integrating time, something which among other things served to spy, they said some experts in security – and the paper may Bixby mobile is part of a much more ambitious plan. That is in fact the one that are carrying out all the greats of technology. They are not only being the assistant to the mobile, but integrate it into the desktop operating system (Cortana and Siri are an integral part and of Windows 10 and Mac OS 10.12 Sierra) and also in those attractive “smart speakers” Amazon and Google already sold. Will Samsung launch its own ‘Samsung Home’? Logic suggests that it will, and if I had to bet I would also by Tizen also in this hypothetical device. There is much here to gain as then claimed developers Viv assistant behaves so remarkable. Because that voice interaction, let’s remember, is one more way of collecting information about us.